Music lessons for teens NEAR ME? Our Winchester music teachers offer private musical instrument lessons and voice / singing lessons for teens, near you at our music school in Winchester MA or at your home. We offer private music lessons for teens in a variety of instruments. Our professional music teachers provide one-on-one guitar lessons, bass lessons, piano lessons, violin lessons, cello lessons, clarinet lessons, saxophone lessons, flute lessons, voice / singing lessons and much more! You will have the opportunity to improve in a musical instrument or to take voice lessons. In both cases, we teach beginners to more advanced students, our award winning teachers are here to inspire you to develop your creativity. 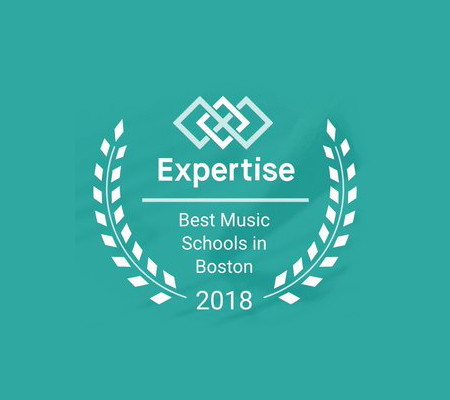 We are proud to welcome in our music school in Winchester MA students from nearby Greater Boston towns including Arlington, Burlington, Lexington, Medford, Stoneham, Winchester and Woburn MA. Our highly qualified music teachers use an individualized approach for each student, based on age, musical goals and learning style. Our faculty have the experience to help you reach your potential on the instrument of your choice or on voice / singing. Choosing private music lessons is a proven method for fast improvements as the music teacher is able to work in depth with you. The music teacher will work with you to create a tailored musical education experience in order to develop a better technique on the musical instrument of your choice while supporting your creativity. With private music classes you will benefit from a one-on-one approach that allows you to learn at your own tempo. Your music teacher will have the opportunity to focus on areas that need improvement, which can also be of support if you are part of a band. Many research studies highlight the benefits of studying music (check our blog!). On top of the pleasure and fun of learning a musical instrument, doing so leads to increased hand-eye coordination and higher academic test scores. Private music lessons in any instrument or voice /singing lessons will boost your confidence, encourage discipline, perseverance, time management, and most of all, provide means for self expression.